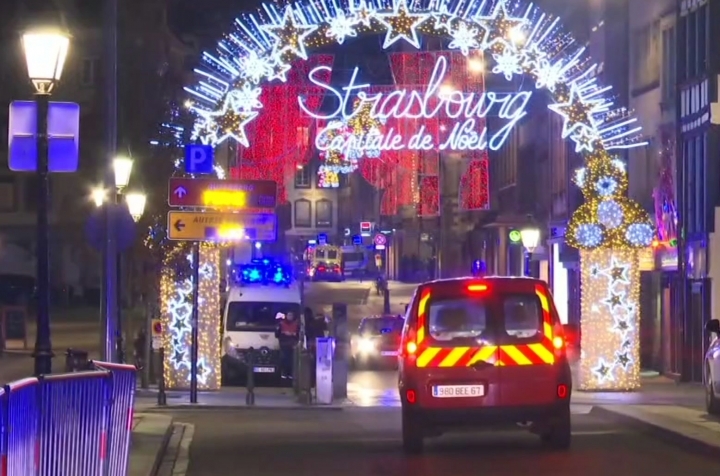 STRASBOURG, France — A man who had been flagged as a possible extremist sprayed gunfire near the famous Christmas market in the French city of Strasbourg on Tuesday, killing three people, wounding up to a dozen and sparking a massive manhunt when he got away. France immediately raised its terror alert level. The market, France's largest, is set up around the city's cathedral during the Christmas season. 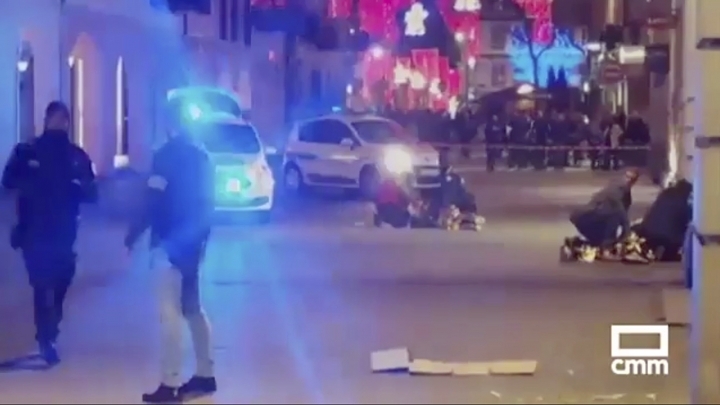 Many of Europe's deadliest terror attacks in recent years took place in France. In response to Tuesday's shooting, the government decided to take the country's attack risk up a level on the official threat index and to send security reinforcements to Strasbourg, Castaner said early Wednesday. Strasbourg, a city about 500 kilometers (310 miles) east of Paris on France's border with Germany, promotes itself as the "Capital of Christmas" and the market set up around the local cathedral is a holiday tradition. Two years ago, a Tunisian man drove a hijacked truck into a busy Berlin Christmas market, killing 12 people in the German capital. Some 350 officers and two helicopters were searching for the assailant, who had been radicalized for "several years" and confronted law enforcement officers twice, exchanging fire, while he "sowed terror," Castaner said. More than seven hours after the bloodshed, the regional prefect said 11 other people were injured, five of them seriously, downgrading Castaner's earlier count of 12 injured. The shooter was also shot and wounded by soldiers guarding the Christmas market, according to the FGP union's Morisse. "I heard two or three shots at around 7:55 p.m., then I heard screams. I got close to the window. I saw people running. After that I closed the shutters. 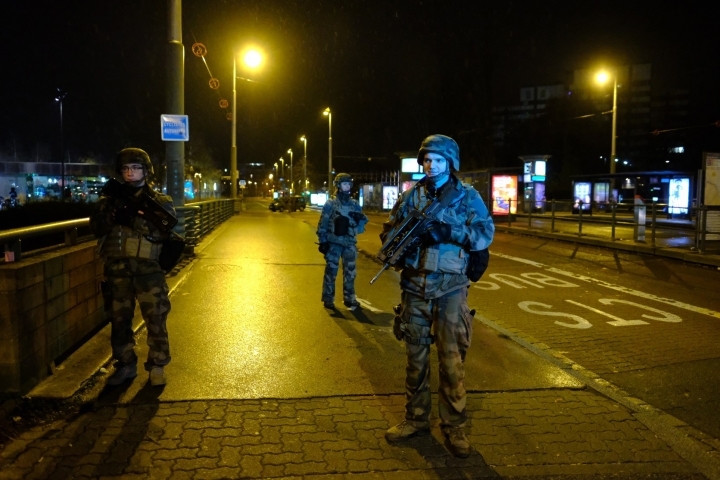 Then I heard more shots, closer this time," Yoann Bazard, 27, who lives in central Strasbourg. 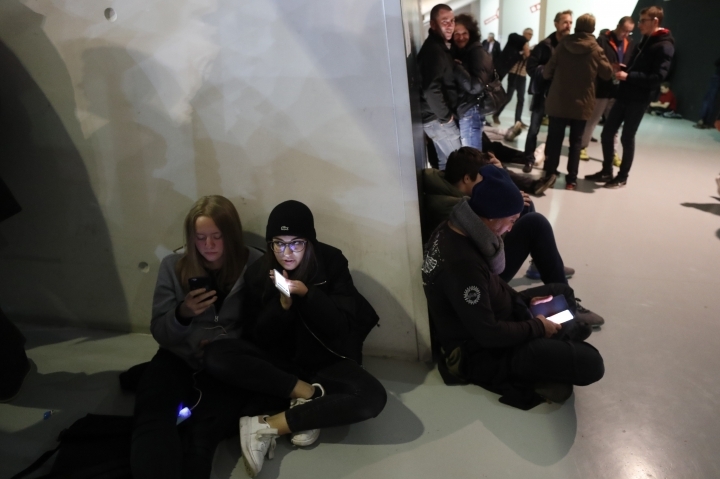 Tuesday's attack followed four weeks of protests against President Emmanuel Macron that have stretched the police forces deployed to clear blocked roads and to quell rioting, looting and other protest-related mayhem. Macron adjourned a meeting at the presidential palace Tuesday night to monitor the emergency, his office said. The president tweeted "Solidarity of the whole nation for Strasbourg, our victims, their families" and at midnight presided over a meeting at the Interior Ministry's crisis center. 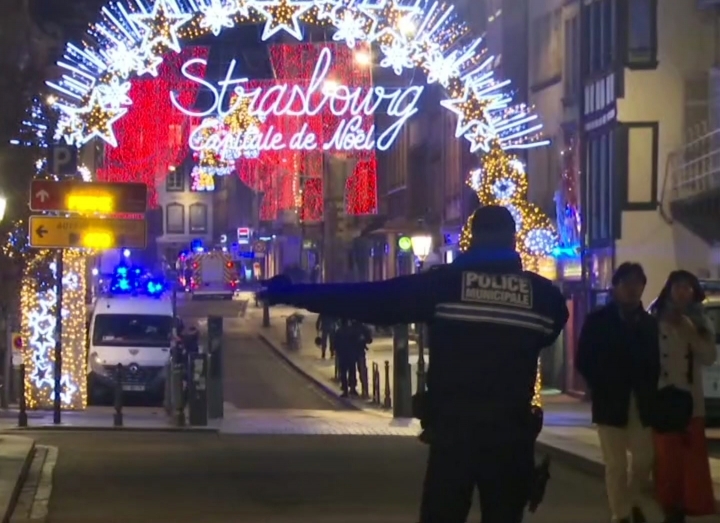 The office of the Paris prosecutor, who is in charge of France's terror investigations, said the Strasbourg probe was being conducted on suspicion of murder and attempted murder in relation with a terrorist enterprise. The latter charge suggests officials do not exclude links between the shooter and an extremist cell.